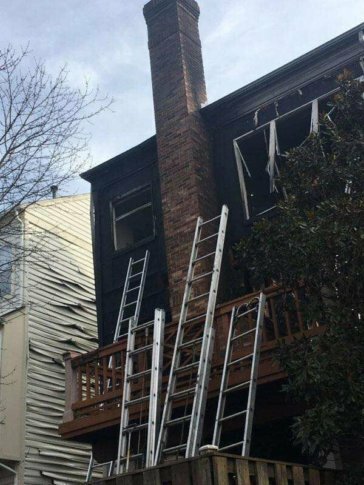 WASHINGTON — One person is dead after a fire broke out in an Alexandria townhouse on Saturday. The cause of the fire was most likely an unattended candle, according to Alexandria Fire and EMS. The fire began around 9 a.m. in a three-story townhouse on Arrell Court near Duke Street. Once inside, firefighters found that the fire had spread to all three floors of the house. One person was found dead on the second floor. Other people who were inside when the fire started were safely evacuated from the building. Members of the Fairfax County Fire Department offered their assistance in fighting the fire. Assistant Chief Deputy of Operations of the Alexandria Fire Dept. Lawrence Schultz said that he commends the firefighters who rushed in to fight the blaze. After the fire was put out, fire marshals and detectives from the Alexandria Police Department determined the cause of the fire was accidental. UPDATE: A male victim was removed to the ME’s office. The origin & cause investigation has determined the fire to be accidental in nature. The most probable cause was an unattended candle. Case remains open pending results of an autopsy. Below is a map of the area where the fire took place.